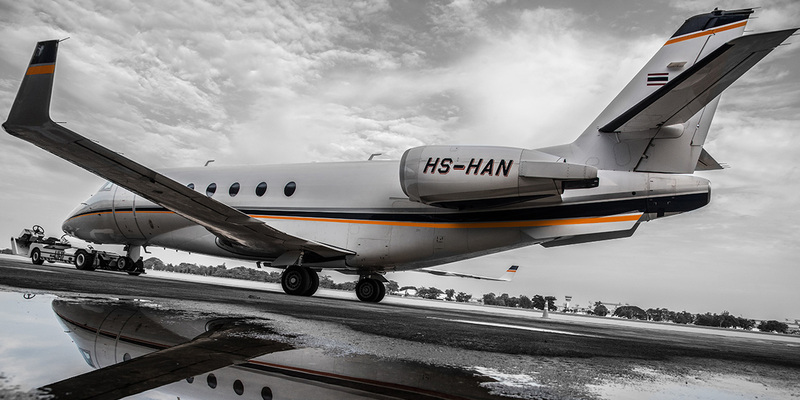 Advance Aviation Jet currently operates two Gulfstream G200 jets for commercial charter; each seats up to 10 passengers and has an operational range of up to 3400 NM, and one G650 ER under co-management for private use. We serves customers worldwide but primarily throughout South East Asia, Asia/Oceania, Middle East and Western Australia. With a cabin length of 24 feet 5 inches (7.44 m) and a height of 6 feet 3 inches (1.90 m), the G200 JET cabin is spacious enough to accommodate the tallest members of your management team. Our plush, full-sized seats lend new meaning to flying comfort. Its traditional oval windows fill the cabin with abundant sunshine and provide an increased sense of spaciousness. Its fresh-air system gently feeds 100 percent fresh air into the cabin. The G200 JET’s spacious cabin, natural light and fresh air combined with exceptionally quiet cabin sound levels creates a comfortable working or resting environment while reducing fatigue and promoting a sense of well-being. 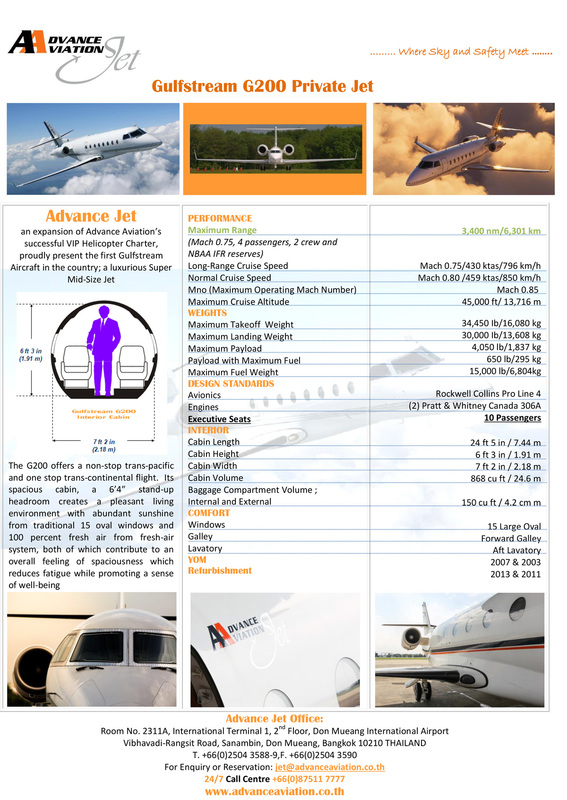 Advance Jet takes pride in being a preferred choice from reputable charter brokers worldwide. 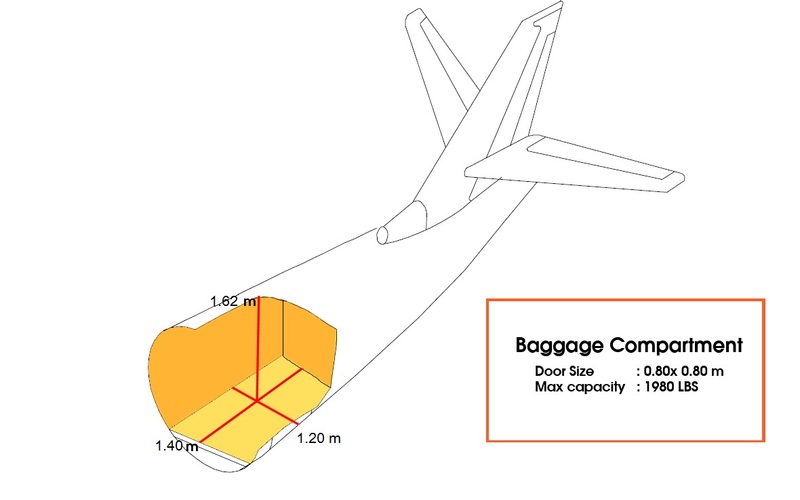 ANY EXCESS BAGGAGE WILL BE TRANSFERRED BY COMMERCIAL AIRLINES WITH ADDITIONAL CHARGES APPLIED.